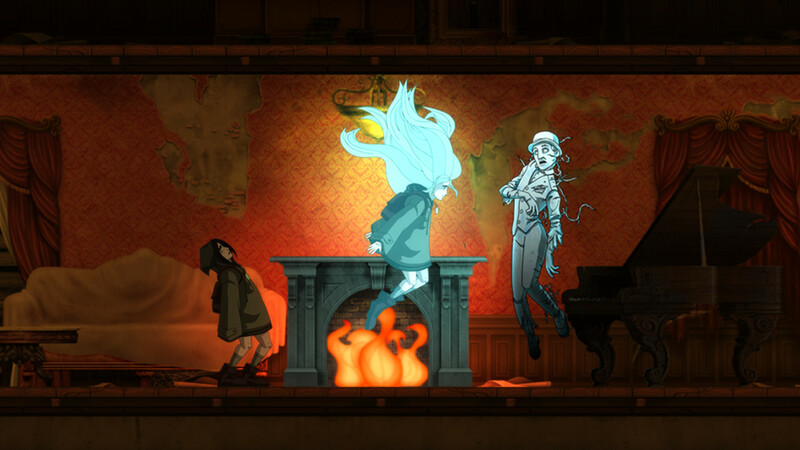 Whispering Willows was successfully Kickstarted by 750 backers in March 2013. I was immediately drawn to it when I saw it for sale on Steam because of the gorgeous screenshots and girl protagonist. Something neither the Kickstarter nor the store page mention, however, is that you’re not only playing a teenage girl, but a Native American as well – awesome! Most of the plot and backstory is uncovered by finding notes scattered throughout the mansion and its grounds. Luckily, none of these notes are difficult to find. The plot draws a lot from the historical conquering of Native Americans by Europeans, and is firmly on the side of the Native Americans. Elena is part of a fictional tribe, but everything else is rooted in history. The rest of the story is moved forward by talking to ghosts, who all have some kind of unfinished business. You’ll get to help a lot of them along the way, along with uncovering the dark secrets of the mansion. The plot doesn’t have a lot of room to tell its story, but what is there kept me interested. Not only are you playing a teenage girl, but you’re also rescuing your dad, who takes on the traditional “damsel in distress” role. Very cool subversion. The graphics are absolutely beautiful; they’re done in a style that strongly reminded me of Knock-Knock but more colorful. The 2D has a depth, and the art is very well-done. It’s in a style between realistic and cartoony, with cutscenes moving more toward the cartoony side. The variety of ghosts was one of my favorite parts; there are some upside down ghosts, ones with wounds, and many more. The lighting is another highlight, with the spirits emitting blue, and shadows being created correctly when passing by light sources. The animations are fluid (I particularly loved Elena’s spirit’s hair! ), and backgrounds often made me take a screenshot. The music and sound design is also very good, with the creaks of the mansion and skitters of things in the walls contributing to a vaguely unsettling atmosphere. Gameplay consists of slowly walking around the mansion and its grounds, finding clues that will lead you closer to your dad (and unlock more of the mansion and its grounds). You’ll also find the aforementioned scrolls around the house; if you ignore these, you’ll miss 90% of the story. At certain points, you’ll have to run away from something you’ve awakened, which will make you run much faster while you escape. 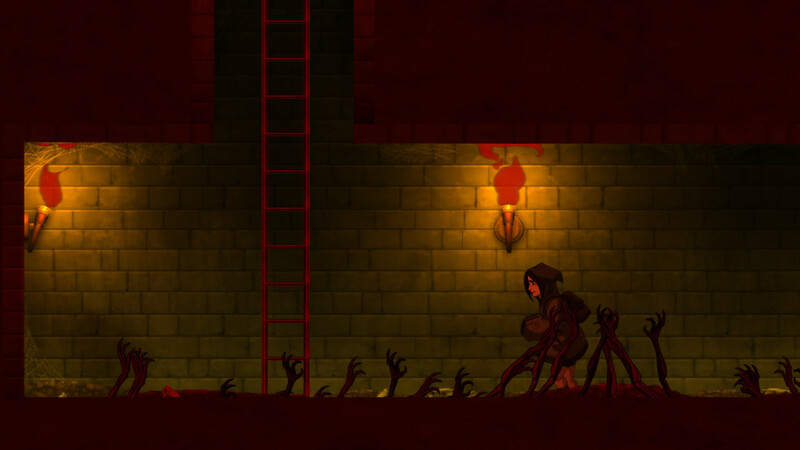 There are a few stealth sections, which were the only bits I found annoying; you have to avoid demon spiders, which are invisible unless you’re in your spirit form or, for some reason, if they’re under steam/rain. This is pretty much the only way to die, and it doesn’t set you too far back, but it broke up the otherwise forgiving, leisurely pace of the game. There were also a few times where I wasn’t sure where to go next, because the game wasn’t clear on where to go for the next goal (or even what the next goal was). I finished Whispering Willows in a mere two hours, only looking at a walkthrough three times. There are 20 Steam achievements, most of which are unmissable, but some require hunting. 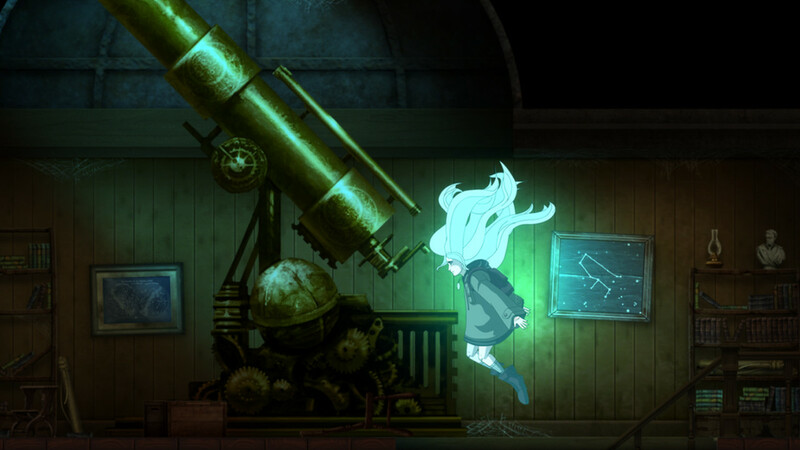 Whispering Willows is a gorgeous game that explores themes not often explored in games; however, its extremely short play time, coupled with a few obscure goals, may put some off. 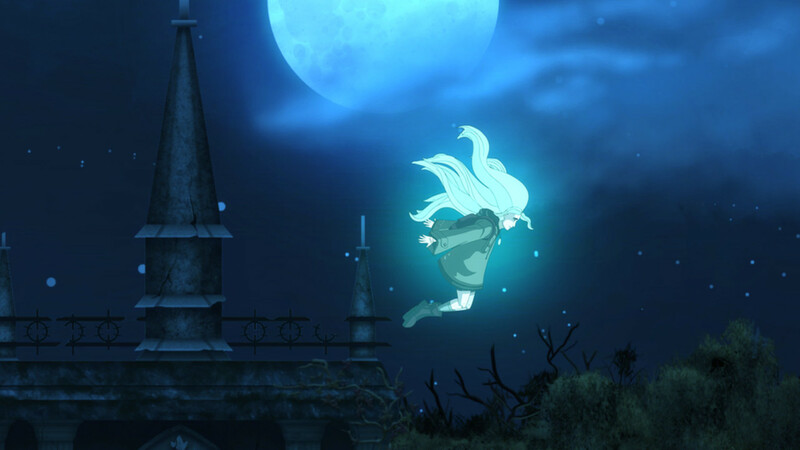 You can get Whispering Willows on Steam and OUYA for $14.99. Check out the official site, Facebook, Twitter, and YouTube.